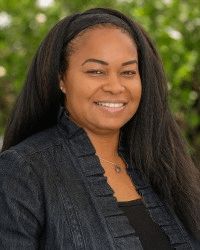 Christal-Joi Whitaker – Recovery Now, Inc. Provided therapeutic services to adult clients through individual and group modalities; Conducted vocational exploration workshops and psycho-educational groups; Conducted assessments/tests, diagnostic interviews and written reports; Developed and implemented treatment plans; Conducted crisis interventions; Supervised and trained mental health staff; Monitored DMH budget and contract compliance; Analyzed outcome data and provided summated feedback to investors/contractors; Assured service quality compliance; Developed and sustained collaborative linkages with other agencies; Developed CQI protocols. Provided assistance to the Child and Family Service Agency (CFSA) Program Manager to support service delivery planning by developing/producing qualitative, quantitative and clinical data; Supported inter-agency planning, assessment and improvement activities to improve mental health services and support for CFSA; Designed, organized, and implemented comprehensive analysis and evaluation of the quality, utilization, and effectiveness of mental health services; Established appropriate benchmarks/outcomes to monitor key quality domains. Worked as a member of the IABA management team; Assured agency-wide compliance with all contracts and applicable regulatory requirements and standards pertaining to the documentation and delivery of supported living services to adults with mild to severe developmental disabilities and mental health issues. Supervised a staff of 60-80 direct care staff in the implementation of the written behavioral protocols; Maintained communication with local Regional Centers/funders in the delivery of services. Providing brief therapy/counseling sessions to clients referred through the California Victims of Crime Program; Assessment, diagnosis, and treatment of adults, families, and children with a focus on a specific set of problems (sleep disturbance, anger, grief, bereavement, etc.) with direct, trauma-centered, solution-based interventions; Substance abuse counseling using Motivational Interviewing, Cognitive-Behavioral and Solution-Focused techniques. Oversee FSP Program services providing leadership for program activities, establishing, maintaining and monitoring all systems relevant to clinical and administrative aspects of the program; Supervise the eight to ten MFTI and ASW clinicians; LPS designee. Fresh Start of California Detox, LLC. Responsible for the management and supervision of mental health and substance abuse services, including hiring, supervision, evaluation and client assessment; Develop, plan and implement strategies for program continuation and growth; Provide clinical training to staff and interns; Develop and monitor program protocols and practices. Responsible for the management and supervision of mental health and substance abuse services, including hiring, supervision, evaluation and client assessment; Develop, plan and implement strategies for program continuation and growth; Provide clinical training to staff and interns; Develop and monitor program protocols and practices. Oversee Community and Residential Program services providing leadership for program activities, establishing, maintaining and monitoring all systems relevant to clinical and administrative aspects of the DMH contracted program; Supervise the eight-ten MFTI and ASW clinicians and a total staff of 22 professionals and practicum students. Provide individual, group & family therapy and psychotherapy for all mental health concerns and drug/alcohol problems. Counsel family members struggling to understand the nature of a loved one’s addiction, mental illness and/or the trauma of growing up in a home where alcohol/drugs were/are prevalent. Provide Interventions for matters related to substance abuse and mental illness.